A visit in Iloilo City means food for me. Every visit, there is always something new to try in the city. But this time we want to try those food that has been of Iloilo City's history, food that has been part of Ilonggos life for generations. 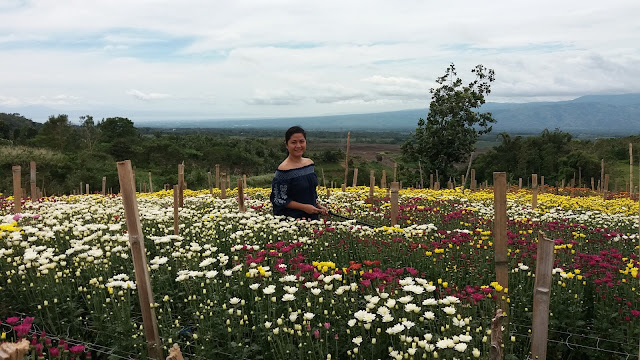 I will be sharing to you our food trail from the town of Sta. Barbara. Passing the town of Pavia is not complete without stop in one of those road stalls selling the famous baye-baye. Baye-baye is an Ilonggo specialty made from pinipig or corn with young coconut. There are a lot of stalls that sell along the National Highway going to Iloilo City, just stop at any of it and I am sure it all taste good. Considered to be the prime makers of Ilonggo pastry treats. We made a stop here on our way to Kap. Ising's pancit molo, and I can't help but go gaga over my all time favorite Ilonggo specialties like; hojaldres, butong-butong, galletas and kinihad. 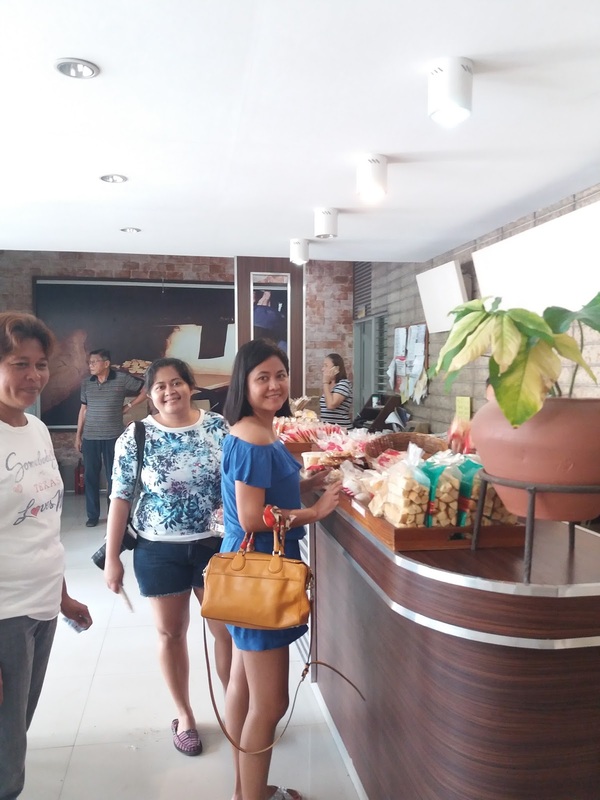 History has it that panaderia de molo started because of the crates and crates of eggs used as a binder in building Molo church, the surplus of yolks paved the may to these Ilonggo pastries. Another find that I had in Panaderia de Molo that I started baking after our trip is the 7-up cake. A spongy and buttery cake that I missed and used to buy back in college. Pancit molo is dumpling soup using wonton wrapper filled with chicken and shrimp which originated from Molo district in Iloilo City. 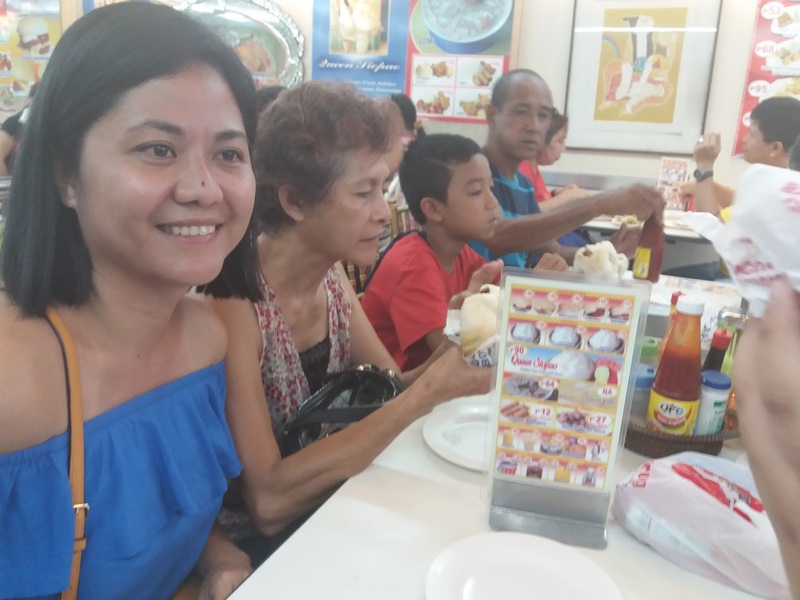 Even before we left for this roadtrip, Mama have her list of food to eat in Iloilo City, and Kap. Esing's pancit molo tops the list. Kap. Esing's is a block away from Panaderia de Molo, just turn right on the next block, go straight when you reached the dead section of the street just ask for Kap. Esing's Pancit Molo. We arrived quite early but that morning we were the second group to be served. Kap. Esing's make their own wonton wrapper, located in a compound where the family of Kapitan Esing lives. 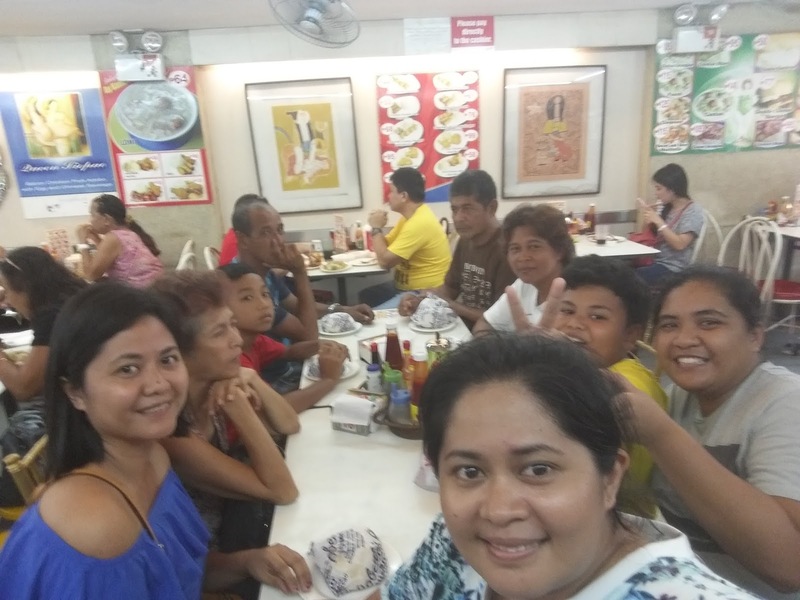 We were served a big "kaldero" of pancit molo, make sure that when order you have to tell them good for how many person because you might end up with a big "kaldero" of pancit molo all to your self. Sweating and a tummy full, Kap. Esing's Pancit Molo is something I will go back to when I visit Iloilo. The wonton is the best, it stays in shape even when you boil it again. We bought a pack of pancit molo and cook it at home, it taste good but nothing beats the broth of Kap. Ising. That another secret in making good pancit molo, the broth and its wonton. I asked myself why I have not try Madge Cafe after years of living and passing by Lapaz Public Market every day. I even OJT in Security Bank Lapaz Branch, which is a few steps away from Lapaz Public Market. But thanks for this trip, I finally get to taste that coffee, "the coffee" of Madge Cafe. From Kap. Esing's its time for a cup of cofffee. Madge Cafe is located at the heart of Lapaz palengke. As we enter, we were greeted with Maayong Aga and a sweet smile of Manong at the counter. The first thing he asked was "taga-diin kamu?" Told him from Mindanao, in South Cotabato, but my family were originally from Iloilo. And so that friendly and welcoming conversation starts with Manong and Papa. We were even seated with Madge Cafe oldest customer, Lolo Rodelia drinking her favorite coffee in mug with her name on it. She was a beautiful soul telling us with so much passion how much she loves the coffee of Madge Cafe. She can have coffee at home but she still prefers to go to Madge every day for a mug of coffee, in her words "amo gid ni nagpalaba sang kinabuhi ko, ang kape sang Madge." Lola Rodella is in her 80's and with pride she told us she was the one interviewed by Jessica Soho. Inside I get to see how Manang prepares coffee the way I used to see Lolo Indo did with his coffee. A 'takure" in one hand and a strainer made of "katsa" in the other hand, and in a synchorized motion gives one great aromatic coffee. Call us crazy foodies but we just cannot stop from this gastronomic adventure. Before we take another RORO ride to Bacolod City, I suggested having siopao from Roberto's. Roberto's is located in JM Basa St. also known as Calle Real, old downtown of Iloilo City. Ilonggos equate Roberto's to siopao, known for the Queen & King Siopao, that's how they named each variant of siopao. We arrived in time for lunch, and the line is building outside the shop, I even lined-up by the sidewalk of Calle Real. We ordered, the King, Queen and Jumbo and because of its size, I was not a able to finish mine. Iloilo City never fails to surprise me in every visit, their is something to try. On this visit, every thing we tried and ate have been part of Ilonggos life for generations, but still it something worth trying and going back to.